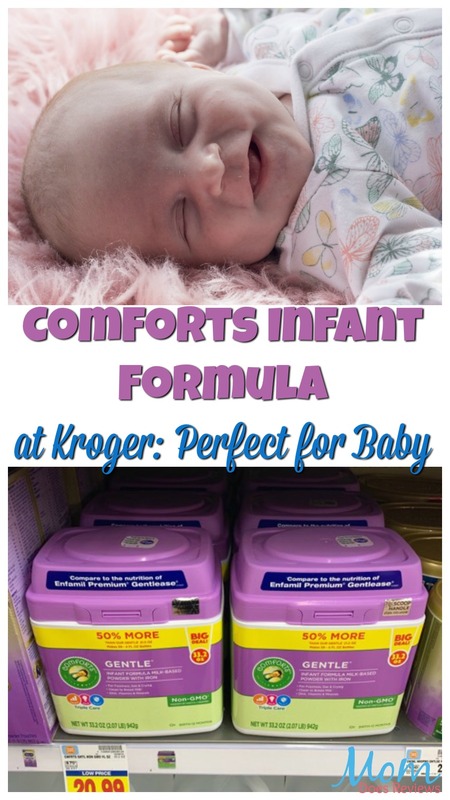 Did you know that the new Comforts Infant Formula at Kroger is the perfect formula for your infant, as well as the best deal on infant formula? It’s true! 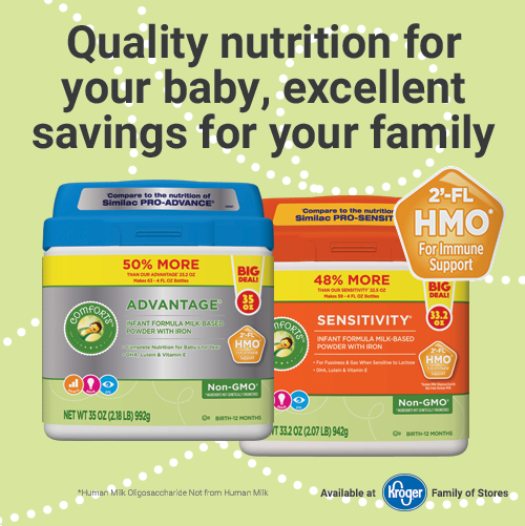 Give your baby the nutrition they need at the price you want! I know one of the biggest issues I had finding the right formula for my son was one that was closest to breast milk without costing a fortune. 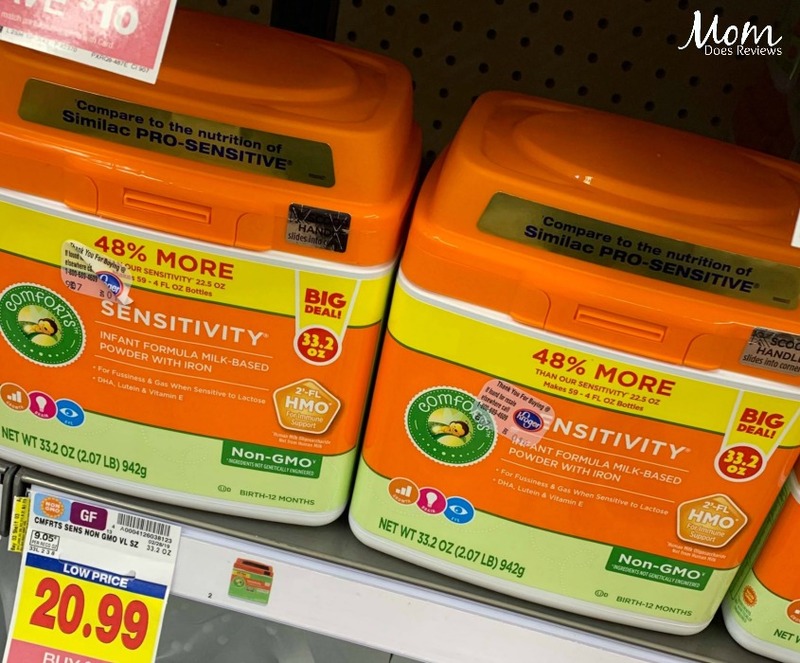 I never realized how expensive babies were until I stopped breastfeeding and had to find the perfect formula. Everyone always said a breastfed baby was healthier than a formula fed baby (this was over 10 years ago) so I wanted to get the best formula there was. Comforts Infant Formula has the perfect nutrition for baby at a great price- I wish it was around when I needed it!! You can trust Comforts™ HMO Infant Formula to have the nutrition your baby needs AND at a price you can afford! It is made to suit your baby’s needs! It has compete nutrition – just like those leading brands – but at a big cost savings! If you’re worried about having a formula that’s close to the nutrition of breast milk, Comforts™ Infant Non-GMO Formula is nutritionally tailored for infants. It has DHA and choline (found in breast milk) to support brain development. It’s comparable to the nutrition of Enfamil® Infant Non-GMO. Did you know that when a formula features HMO, it means that it feature a human milk oligosaccharide (HMO), a prebiotic that helps establish beneficial bacteria for immune support. This is a great benefit for babies! Another fun fact: the oligosaccharide, 2’-fucosyllactose (2′ -FL) is found naturally and is abundant in most mothers’ breast milk. The 2′ -FL HMO helps baby’s immune system to be more like the immune system of a breastfed baby. With the amazing low price of Comforts Infant Formula, you can save more than $400 over buying the national brands? What could you do for baby or for yourself with an extra $400? 2′-FL HMO Prebiotics are in the formula to support baby’s immunity. Don’t miss the Ibotta Offer! 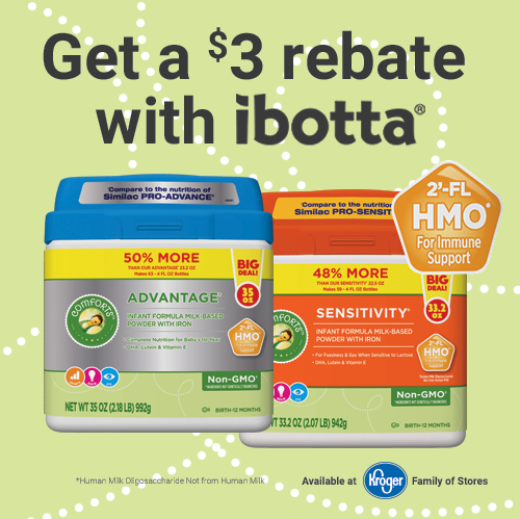 Go to your local Kroger to purchase Comforts Infant Formula products and take advantage of the $3 off Ibotta offer!! 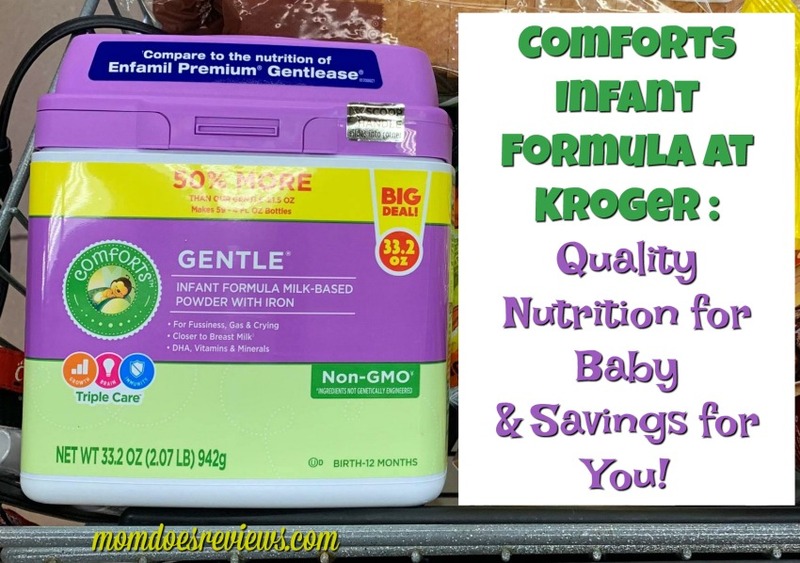 The offer is good for $3 off of one Kroger Comforts Formula (any variety, 30 fl. oz. or larger). It may be redeemed up to 2 times per receipt! What kind of issues did you or someone you know have finding the perfect formula? Let us know in the comments below.